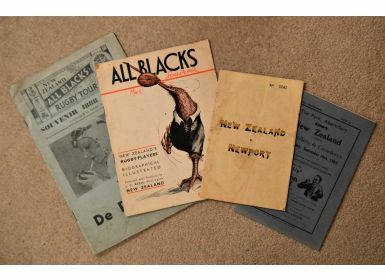 1935 New Zealand All Blacks Rugby Package (4): Includes two large format booklets: B M Turner's 52 pp Souvenir of the All Blacks 1888-1936, full of facts and photos, and J C Rich's more 'Tabloid' All Blacks Souvenir, with quite large player pics; and the programmes for the autumn wins at Abertilley/Cross Keys and at Newport. 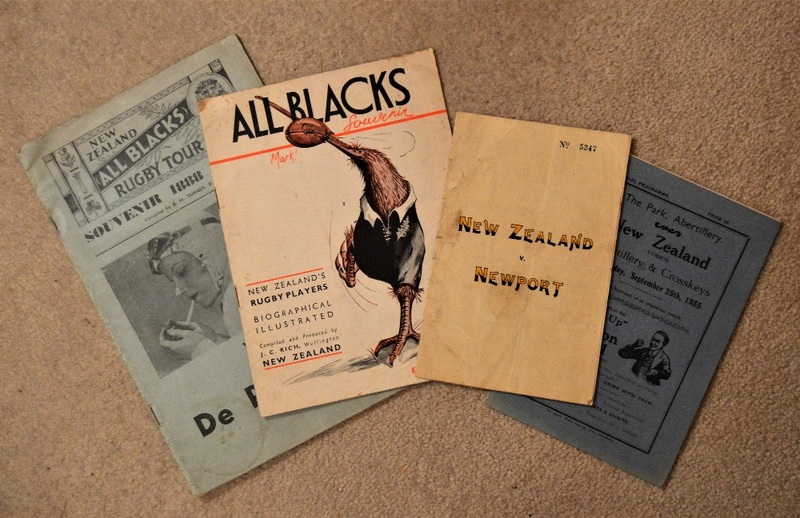 Punch holes in the former, but good illustrated issues thoroughly read and thumbed. A nice collection.